Students entertain distinguished guests with national song, dance, poetry and other cultural and traditional performances to celebrate the Gilgit-Baltistan Cultural Day. Male, wearing white neat clothes with traditional hand-made white stuffed traditional caps adorned with colourful plumes and female, wearing scarlet red and pink dresses with traditional colourful embroidered caps, students rendered some very soulful cultural and traditional performances to celebrate Gilgit-Baltistan Cultural Day in the University. 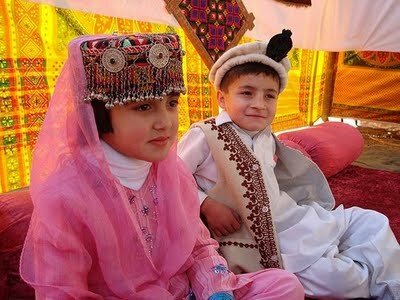 The Gilgit-Baltistan Cultural Day was arranged by students (hailing from Gilgit-Baltistan), of different departments of the University. The rhythm and current of the music that was created by playing tradition instruments like Dadang, Damal, Surnai, and Gabri was delight of the day for the audience. Moreover, calculated movements and swirling bodies of the performers in traditional dances of Gilgit, Nagar and Chalas were presented by the students that refreshed the memories of spectacular picturesque landscape, carved wooden houses, sensational sports, natural waterfalls, and snow-covered mountain ranges of Gilgit-Baltistan. The students paid tribute to the country by singing national songs, sang their traditional songs of the area and presented the humorous poetry that convulsed the audience with laughter. Mr Muhammad Ali Akhtar, Provincial Finance Minister of Giglit-Balti, was the Chief Guest in the Cultural Day while Rector Maj Gen (R) Masood Hasan, Director General (DG) Brig Azam Jamal, Director Student Affairs Muhammad Taj, other officials of the university, a great number of faculty members and students also attended the event. Speaking at the occasion, Mr Muhammad Ali Akhtar said that “it is indeed very pleasant to see that University provides platform and opportunity to their students to exhibit their diverse culture and traditions and such activities not only promote cultural harmony but also provide a chance to other students to learn about different beautiful parts of their homeland”. Rector NUML Maj Gen (R) Masood Hasan speaking at the occasion thanked the provincial Financial Minister for visiting to the University to appreciate the efforts of the students and said that “it is University’s priority to provide its students with a conducive environment where they can pursue their curricular and co-curricular activities with equal ease”. In the end Director Students Affairs Muhammad Taj presented University Shield to the Chief Guest.